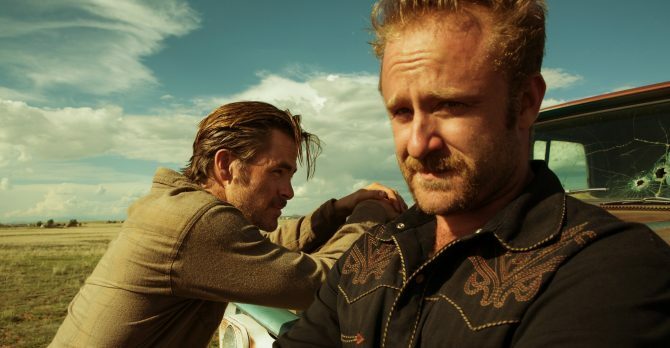 From the sun-kissed wild west to the rolling hills of the Scottish Highlands, Deadline brings word today that writer-director David Mackenzie, Chris Pine and Ben Foster – the three driving forces behind last year’s Oscar-nominated hit Hell or High Water – have entered talks to spearhead Netflix’s sweeping period drama, Outlaw King. Bash Doran (The Looming Tower) is the brain behinds the screenplay, and Deadline’s scoop goes on to shed light on the historical context underpinning Netflix’s Outlaw King, including how his story dovetails with that of the iconic William Wallace. Robert the Bruce came across as a privileged brat who was manipulated by his power-hungry leper father into betraying William Wallace, before coming around and leading Scotland to freedom after Wallace was drawn and quartered by England King Edward I. William Wallace will have a place in Outlaw King, but in this story, Robert the Bruce casts aside the comfortable trappings of his upbringing to stand up for his countrymen in a long campaign. He defied the Brits and the Catholic Church and ruthlessly consolidated rule among the squabbling noble elite of Scotland, finally rallying the forces necessary to turn back Edward II’s considerable armies to free Scotland. There is also a major love story in the film, between the king and his Queen, Elizabeth de Burgh, daughter of an England-friendly Irish noble who helped Robert The Bruce form the backbone needed to eradicate the Brits. So far, so promising. Hell or High Water scooped up four Oscar nominations earlier this year for Best Picture, Best Original Screenplay, and Best Editing, along with a Best Supporting Actor nod for Jeff Bridges’ scenery-chewing performance, so it’s small wonder why Netflix is keen to reunite the core creative team in Mackenzie, Pine, and Foster. It is, however, worth keeping in mind that The Brotherhood, a longstanding passion project of Mackenzie’s that has Margot Robbie and Michael Fassbender attached, is also cramming up the pipeline, so it remains to be seen whether all involved can iron out any potential scheduling kinks. The Outlaw King has found a home at Netflix, and all it needs now is a cast and director to marshall it into production. Mackenzie, Pine, and Foster would undoubtedly be a major coup for the online streamer, but we’ll be keeping track of this story as more information comes to light.